TOKYO - Stocks mostly rose on Monday following a rally in oil prices and after weak Chinese inflation figures increased hopes for more market-boosting stimulus. 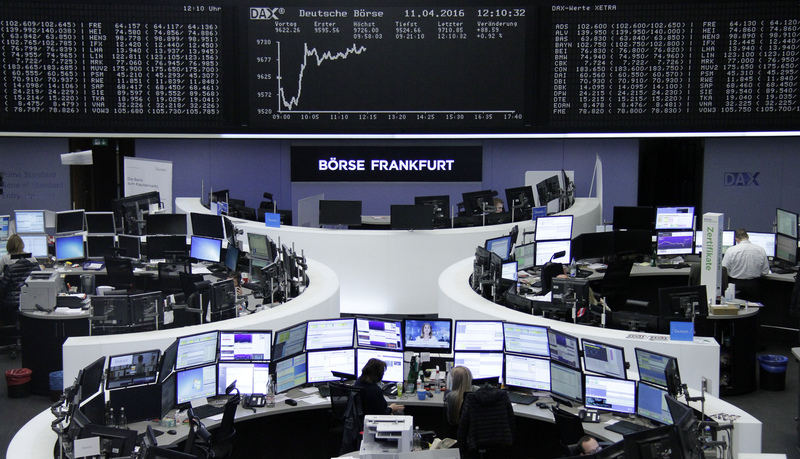 Germany's DAX gained 1.2 percent to 9,740.03 and the CAC 40 of France added 0.7 percent to 4,333.36. The FTSE 100 was up 0.1 percent at 6,210.66. U.S. markets looked set for gains, with S&P futures up 0.4 percent; Dow futures added 0.3 percent. "Strong gains in the oil market and a solid close in U.S. markets should see a positive open to the trading week this morning," said Rick Spooner, chief market analyst at CMC Markets. "Even by the high volatility standards of recent months, Friday's rally in oil was noteworthy," he said. "This should lead to trader support for energy stocks today." The price of Brent oil, the international benchmark for crude, lost 8 cents to $41.86 a barrel in London having rallied $2.51 on Friday. U.S.-traded crude was less volatile, losing 7 cents to $39.65 a barrel in electronic trading on the New York Mercantile Exchange. It gained 46 cents on Friday. Investor sentiment was further buoyed by hopes for more stimulus to help the Chinese economy, which has been slowing down in recent quarters. A new report showed the annual inflation rate in the country was 2.3 percent in March, unchanged from February, while the producer price index, or wholesale prices paid at the factory gate, dropped 4.3 percent year-on-year. Earlier, in Asia, Tokyo's Nikkei 225 stock index fell 0.4 percent to 15,751.13 and Australia's S&P/ASX 200 edged 0.1 percent lower to 5,013.20. South Korea's Kospi lost 0.1 percent to 1,970.37. Hong Kong's Hang Seng index gained 0.4 percent to 20,440.81 and the Shanghai Composite Index climbed 1.6 percent to 3,033.96. The dollar edged higher 108.13 yen from 108.10 yen in the previous trading session. The euro was steady at $1.1402.